I recently embarked on my journey through the Ketogenic Diet. Keto consists of a high fat, medium protein, and low carb diet. Since I do not eat a lot of meat I was having trouble hitting my daily fat and protein macros. Avocados came to my rescue! Ever since I discovered the following benefits of avocados I have been eating them every day. My favorite way to eat them is with a scoop of peanut or almond butter in the center. It’s the perfect salty, creamy snack that is packed with good fat and protein with little carbs. This snack gives me an energy boost in the morning and afternoon. Don’t knock it until you try it, it’s so good! I have also noticed a difference in my skin and energy. 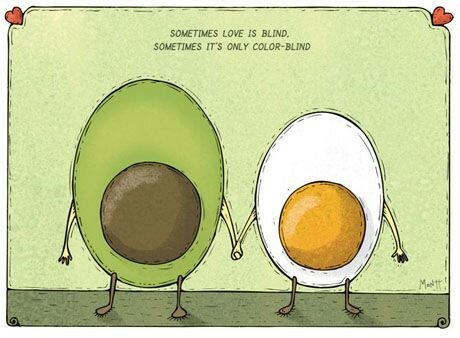 I know avocados can be tricky to pick out so I left a photo below to help you. 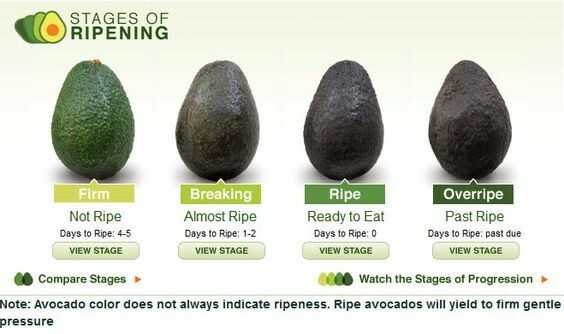 Also when you have an avocado at home, if you pop out the top stem, it will help you see if it is ripe. If it’s white it’s moldy or dried out, if its bright green it may not be ripe yet, green is good, and greyish-brown is over ripe. Good luck on your avocado adventure! Some of the amazing benefits of eating avocados! Good kind of fat– has both omega 3 and omega 6 essential fats, polyunsaturated fat, potassium and monounsaturated fat. These fats help you other nutrients. Natural Sunscreen– It helps in protecting your skin from the UVA and UVB harmful rays of the sun. It is also a remedy for removing sun burns and eczema from the skin. It protects the skin from future damage. Below are some of my favorite ways to eat avocados. Eggy Avocado– I love avocados and eggs together! Cut avocado in half lengthwise. Scoop out a little bit from the center, especially if the pit was small. Put halves on a backing sheet and bake for 15 minutes on 350 degrees. Crack open 1 egg (or pour egg white) into each half of avocado. Place baking sheet back into oven. Broil for 10-20 minutes to cook egg to your preference. Take out of oven with oven-mitts. 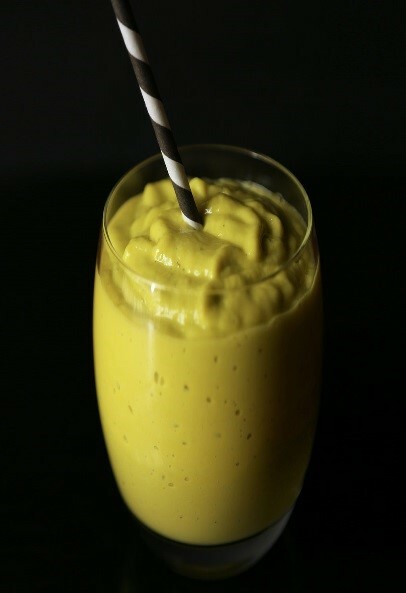 Use coconut milk or yogurt and a ripe avocado. 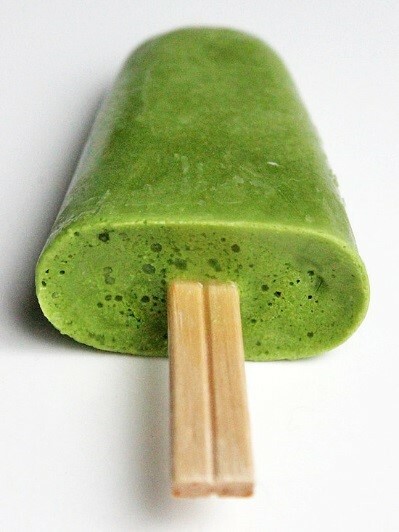 Blend with green tea, Japanese matcha powder works best. Put into a popsicle mold or ice-cube tray. Freeze overnight, then enjoy! A sweet snack made with fresh strawberries, ripe avocado, and a drizzle of balsamic vinegar. You can replace the strawberries with another berry or low GI fruit. Gently toss sliced avocado with the olive oil and lime juice. 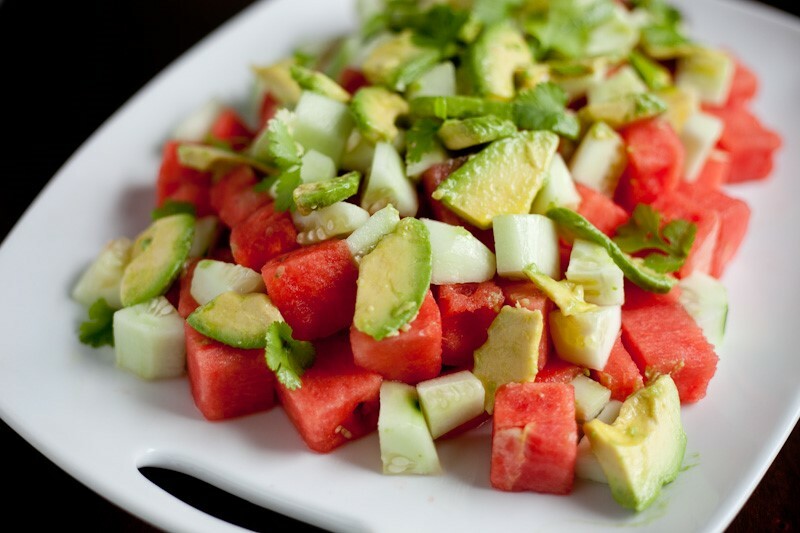 In a large bowl, mix together the cubed watermelon and cucumber. Add this to either a platter or a large bowl. Add the avocado mixture on top and sprinkle with cilantro, salt, and pepper. Mix avocados into ground turkey when making burgers. Since turkey is a lean meat the fat from the avocado keeps the meat moist. Use avocados as a cream sauce for spaghetti squash. Use mashed avocados in you chicken, chickpea, egg(*if allowed) or tuna salad to give it that creamy texture without using mayonnaise. This is very helpful if you have to avoid eggs, soy, and dairy. Spread avocado on your GF bread when you are making a sandwich, or on warm toast yum! This is great with a BLT, with turkey bacon of course 😉 . If you can have eggs, make deviled eggs with avocado and mustard instead of mayo. Add some crumbled turkey bacon on top! It also makes great ranch dressing! See Below for recipe. Mash avocado in a bowl until smooth. Add coconut yogurt and mix well. Whisk in coconut milk. Then separately stir in lemon juice, vinegar, garlic, parsley, and salt. 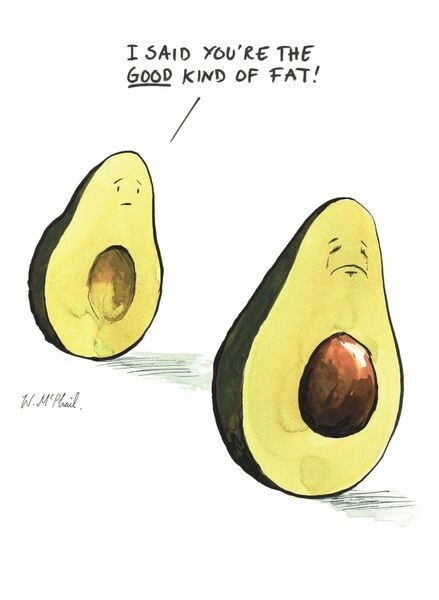 Please share with us your fun avocado ideas and recipes! I look forward to reading them! Previous Post4 Healthy Snacks Your Kids Are Guaranteed to Love!Next PostYou Are Exactly Where You Need to Be!